Invite the spirit of craftsmanship into your home with the subtle form and delicate detailing of the Spirit collection. 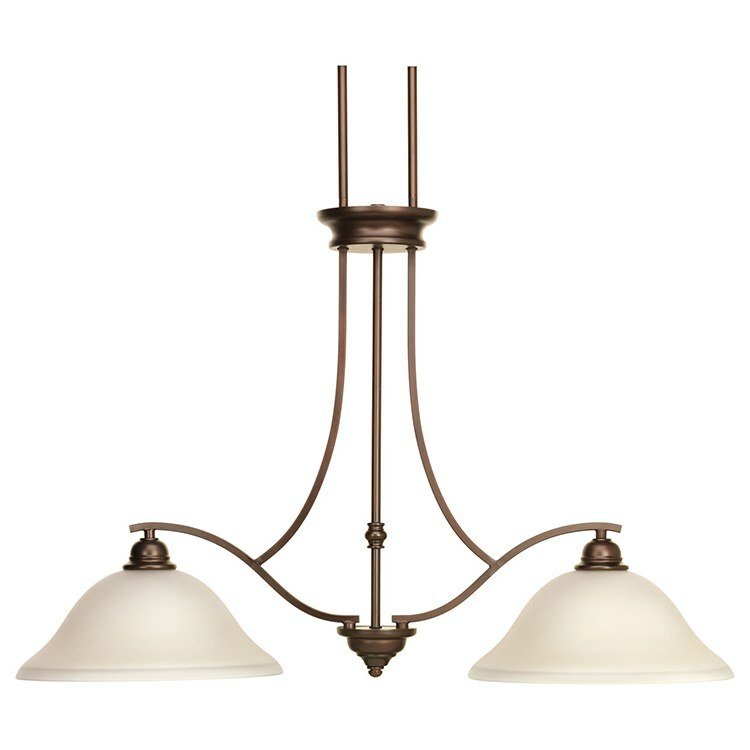 With its light umber etched glass shades and Antique Bronze finish, this two-light linear chandelier offers a refreshing feel and appealing warmth for interior areas. The canopy covers a standard 4" hexagonal recessed outlet box. 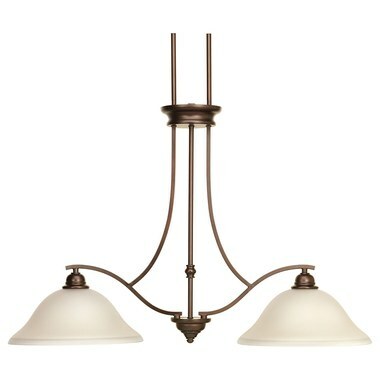 The fixture includes a mounting strap for the outlet box, two pieces of six links of 9-gauge hanging chain, two 6" long stems, and eight 12" long stems.